As promised, am here with the review of the second face serum in the ‘face serums series’. If you haven’t yet checked my review of yesterday’s Just Herbs face serum, do check it out now. Am doing back to back reviews of three different serums. Coming to today’s review, I have already introduced Votre brand in my blog. You can check out my review of Votre Multivitamin & Rejuvenating Night Cream. Votre products are all vegan and made from 100% botanical plant extracts. Let’s see how this Votre Face Serum fares. 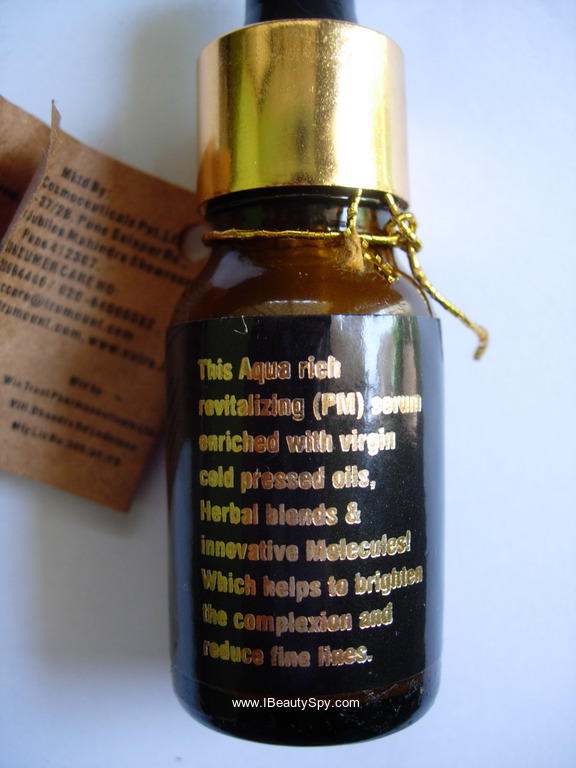 This Aqua rich revitalizing (PM) serum enriched with virgin cold pressed oils, Herbal blends & innovative Molecules! Which helps to brighten the complexion and reduce fine lines. Non Comedogenic, Hypo Allergenic, Micro biologically, Dermatological & Clinically tested. (100% vegetarian /vegan, PETA Certified, BUAV Certified)LOGO only. 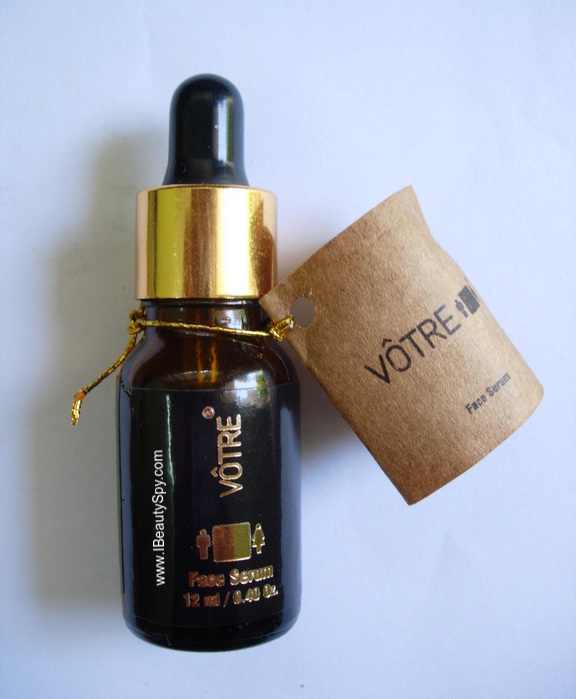 Votre Face Serum comes in a dark tinted glass bottle with a dropper. 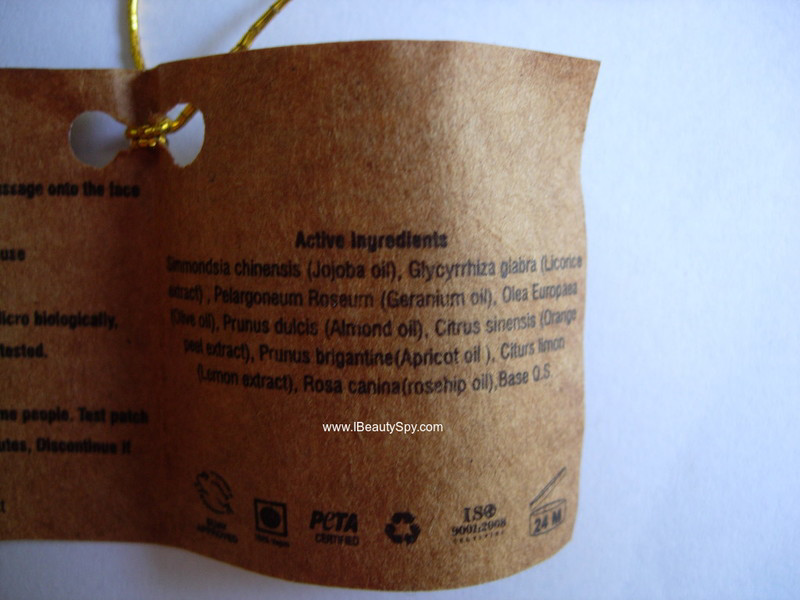 The ingredients details are mentioned in a cute card that is tied to the neck of the bottle. Votre Face Serum is pale white in color with a medium consistency. The texture is in between that of a gel and cream. The fragrance is very mild and pleasant. I take about 3-4 drops of the serum and massage it all over my face and neck. Being a translucent gel cream, it gets absorbed quickly without any greasiness. You won’t feel like you have applied anything at all. It hydrates the skin well and instantly makes it smooth, soft and plumper. Since its mentioned as a PM serum, it has to be used at night only. I follow up with my night cream for an extra boost of moisturization. With regular use, I can see that it brightens and gives a nice glow to my skin. I also observed that some of my acne marks have faded and my face looks clearer. Coming to its claims of reducing fine lines, I haven’t noticed any effect on them. 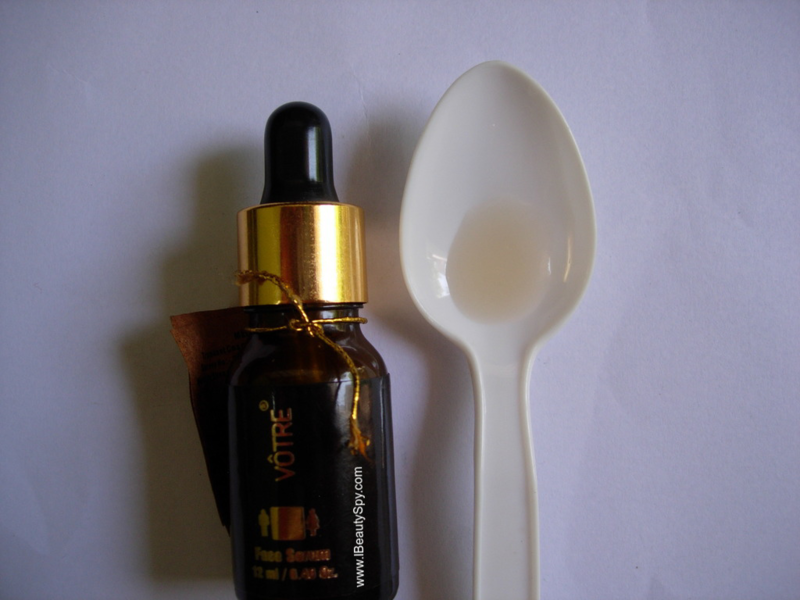 Votre Face Serum is suitable for all skin types and it doesn’t cause any breakouts or irritation. Partially. It brightens skin but does not work on fine lines. * Lightweight and easily absorbed. * Brightens skin and gives a healthy glow. * Makes skin smooth, soft and plumper. * Impressive natural ingredients list. * Non comedogenic, 100% vegan and cruelty-free. * Doesn’t work on fine lines as claimed. No, you can get many other similar, good serums at lesser price. No, owing to the high price point. 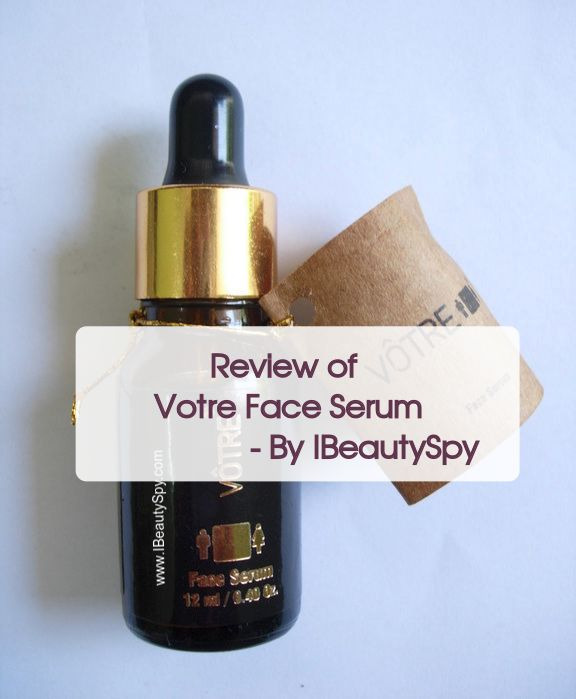 Overall, I would say Votre Face Serum is a pretty good serum which gives very good results. However, nowadays, there are lot of face serums available in the market which perform similarly at a much lesser price. So I won’t repurchase this. However, if you get it in any subscription box at a good discount, you can really go for it. The price is so high considering just 12 ml quantity. But good that delivers at least what it promises. Yes, price is so high for the quantity. I am yet to try Votre products… Would definitely check it out soon.. Thanks for the review..